SET OF BATH TOYS & NET. 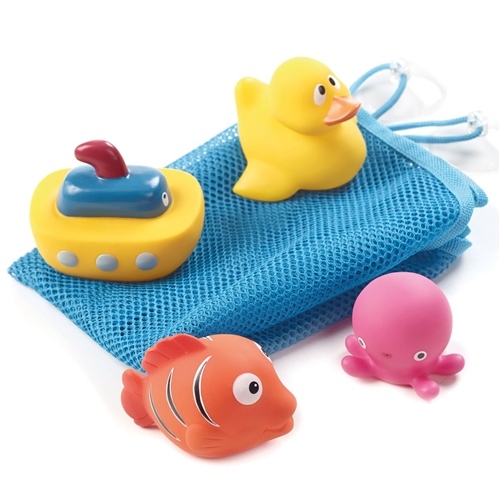 Make bath time fun with this exciting collection of bath toys and its handy wall net for storage. And animals with a fountain effect, which when you press the body spray out a jet of water like a fountain, and more floating friend animals to make your baby’s bath time fun. Toys made from soft and safe materials.